Leading organizations have identified monetization as a primary opportunity. No longer can monetization be an afterthought – an isolated, back-office function that serves merely as a “means to an end,” so to speak. Leading organizations are embedding monetization directly into their growth strategy. Why? A ‘one size fits all’ approach to monetization is in complete contradiction to the customer-first philosophy to which many organizations subscribe. The technical debt accumulated through legacy monetization decisions prevents (or drastically delays) the delivery of new innovations in products or packaging. Monetization directly impacts numerous points in the customer journey (pre- and post-sales) and can be a benefit or detriment to the customer experience, accordingly. By elevating the importance of monetization and reframing it as a strategic enabler of growth, leading organizations begin to realize that investments made in the agility of their monetization platform ultimately pay dividends as it pertains to the relationships they have with their customers, the pace at which they’re able to bring new products and services to market, the new pricing models they’re able to offer, the dexterity they have versus their competitors, and more. Leading organizations are applying new methods and approaches to monetization. 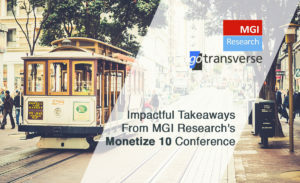 Whether replacing a homegrown CPQ, introducing new payment types, or finally reducing dependency upon spreadsheets to be able to close the books, transformation is prevalent in monetization (and, frankly, old news). Leading companies, however, are at the forefront of change and looking toward entirely new approaches to innovation in the space of monetization. "Several of our products at Zendesk are already usage-based; I believe usage-based models are the future in the evolution monetization." While we at Gotransverse know that pricing and billing really are the sexiest parts of monetization (we’re a billing company, after all! ), other leading companies are finding additional opportunities for immediate returns on investments made in often overlooked components of the monetization ecosystem, thanks to the advancements made by other innovative vendors like us in the monetization space. Yaypay, for instance, functions like a ‘CRM for accounts receivable’ and can reduce days sales outstanding (DSO) by up to 30%. nvoicepay automates the payables process and has proven time and again that its customers can reduce the costs of A/P by up to 75%, and contract lifecycle management (CLM) leader icertis lets its customers break away from manual, Excel-based contract tracking tools in order to make negotiations, proposals, and compliance more efficient. The cost of doing nothing is increasing. Whether your most immediate business needs suggest making investments in A/R, A/P, or CLM with companies such as Yaypay, nvoicepay, or icertis (respectively) – or in components that are more customer-impacting like CRM, CPQ, or an intelligent billing platform such as that from Gotransverse – the cost of doing nothing will become more and more painful for laggards. In his keynote detailing the outlook of the agile monetization platform software market, Igor Stenmark of MGI Research noted that annual spending on the components of agile monetization platforms – the bulk of which is still being done by North American companies despite acceleration in other geographies – is expected to go from less than $20 billion in 2018 to more than $50 billion per year over the next four years, thanks in part to the affordability and scalability of cloud computing and the resulting maturity and capabilities of cloud-based vendors in the space. Leading organizations know that investments made in the components of an agile monetization platform have the potential to produce the “golden trifecta” of results: they’ll grow top-line revenue (new products, packaging, and pricing types; react more nimbly to take advantage of changes in the market, etc. ), operate more efficiently (close the books more quickly; reduce the burden of managing the intricacies behind taxation, etc. ), and improve the customer experience (provide them quotes more quickly and accurately; bill customers how they want to be billed, etc.). If your competitors are increasingly investing in projects that have been proven to simultaneously lead to more profitable growth with happier customers, how long can you really afford to wait? Hear more from Gotransverse President, Michael Beamer, straight from MGI Research's Monetize 10 event here. 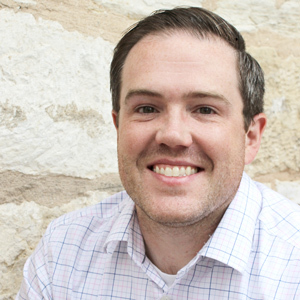 Derrick Snyder is the Senior Director of Partnerships and Alliances at Gotransverse. Bringing his experience from pricing strategy at Deloitte and big data at National Instruments, we’re pretty sure he might actually be an artificial intelligence system.